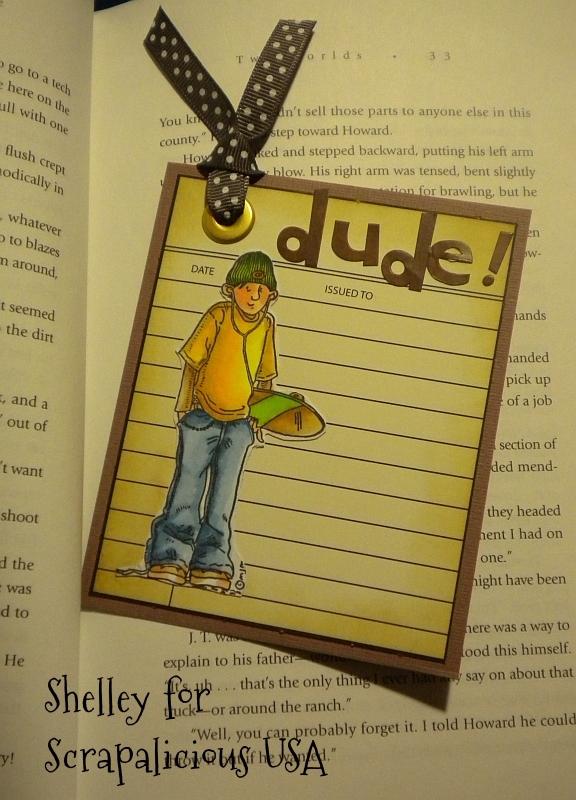 I decided to make a book mark for my son. Everyone at my house has been on a reading kick lately. That's probably why I haven't posted anything here lately! I needed to add something for today's post over at the Scrapalicious blog though and decided...it's time to make a bookmark! I used some of the yummy Teresa Collins paper for the marker. Doesn't it look just like an old library card in a book? The image is from Mo Manning and the stickers are BoBunny Press. Kinda cool for a guy thing. What a great bookmark. I love the image and detail.